This is Prince Philip acting on his own advice, nearly six years later. When he turned 90 he told the BBC it was "better to get out before you reach your sell-by date". 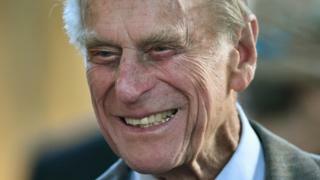 From the autumn, he will follow a path into retirement which is trod by many non-royals once they are in their sixties. Today's announcement is a significant moment in the recent history of the British Royal Family. A prince of Greece - with Danish, German and Russian blood - he has served the ancient institution, very publicly, for seven decades. As an outsider - who was viewed with suspicion by the aristocracy - he struggled at first. To his critics, he is a gaffe-prone prince. His many supporters argue that this nonagenarian senior royal has played a crucial role sustaining the monarchy. It's little wonder then, that the Queen once called him her strength and stay.